Campers, hikers, hunters, bikers, boaters, and other outdoor enthusiasts can rest easier with six first aid kit options available under the Coleman brand – the most trusted name in outdoor equipment. Each kit contains components that are most used and useful when you or your family needs medical attention away from home. 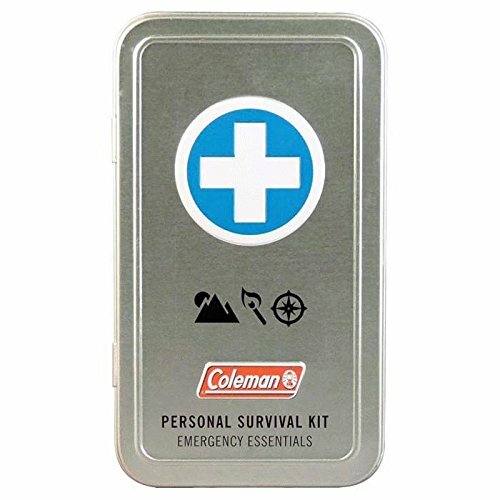 Coleman’s Personal Survival First Aid Tin Kit contains: 6 – Bandages 1″ x 3″, 6 – Small Bandages, 4 – Butterfly Bandages, 2 – Spot Bandages, 2 – Knuckle Bandages, 5 – Antiseptic Wipes, 3 – Sting Relief Wipes, 1 – 2″ Large Safety Pin, 1 – 1″ Small Safety Pin, 2 – Antibiotic Ointments, 40 – Waterproof Matches, 1 – Razor Blade, 1 – Reusable Tin.